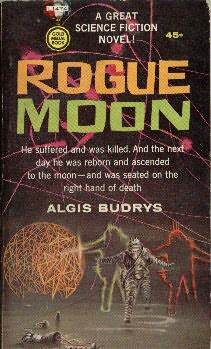 Science-Fantasiction - Fantasy & Sci-Fi Books: Algis Budrys - Labyrinth of the moon (or Rogue Moon). Algis Budrys - Labyrinth of the moon (or Rogue Moon). "It was a nice spring day in 1950-something and I was up in my third-floor office in the house in Red Bank, New Jersey, trying to telephone my other office in New York. And, you know, they did like each other and, a few months later, they did get married."